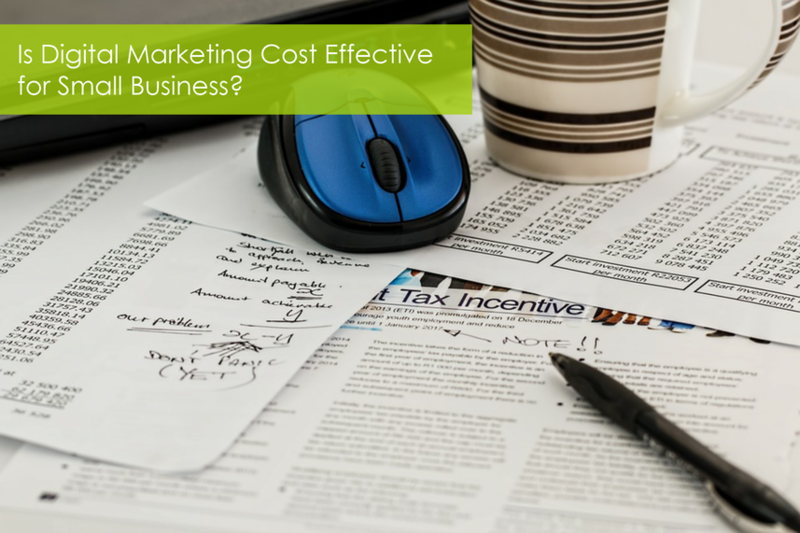 Is Digital Marketing Cost Effective for Small Business? Digital marketing is very cost effective if you have a strategy. There are so many assets and tactical possibilities that no one business can – or should – try to do it all. Your best bet is to think strategically, start small and build your digital marketing program over time for the best return on investment. An effective digital marketing campaign is like a combination bike lock - if all of the numbers aren't in alignment, the lock won't work. It's the same with a digital marketing campaign. You really need all of the parts for your campaign to gain a positive ROI. a strategy so you are focusing your investment in the right direction. a plan that includes timelines, editorial calendar and measurable objectives. other types of media - infographics, .pdf downloads, videos, etc. All of these marketing elements work together to get you the best return on your marketing investment. You have built your business by offering top-quality products and/or services to customers who want what you have to offer. When you outsource your digital marketing to Vibrant Digital VA, you'll be able to keep your focus on what it was that made you successful in the first place. With trained VAs handling your marketing for you, you'll have more time and attention for your day-to-day operations, at a fraction of the cost of hiring someone in-house or having to manage it all by yourself. Want to chat with us about your marketing needs? Feel free to contact us - we're only a phone call or email away!